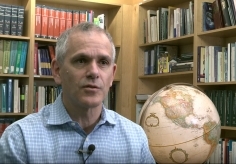 To use the results of the Global Burden of Disease Study (GBD) to report trends in the burden of disease, injuries, and risk factors at the state level from 1990 to 2016. Between 1990 and 2016, overall death rates in the United States declined from 745.2 (95% UI, 740.6 to 749.8) per 100,000 persons to 578.0 (95% UI, 569.4 to 587.1) per 100,000 person. The probability of death among adults aged 20 to 55 years declined in 31 states and Washington, DC from 1990 to 2016. In 2016, Hawaii had the highest life expectancy at birth (81.3 years) and Mississippi had the lowest (74.7 years), a 6.6-year difference. Minnesota had the highest HALE at birth (70.3 years), and West Virginia had the lowest (63.8 years), a 6.5-year difference. 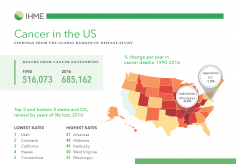 The leading causes of DALYs in the United States for 1990 and 2016 were ischemic heart disease and lung cancer, while the third leading cause in 1990 was low back pain, and the third leading cause in 2016 was chronic obstructive pulmonary disease. Opioid use disorder moved from the 11th leading cause of DALYs in 1990 to the 7th leading cause in 2016, representing a 74.5% (95% UI, 42.8% to 93.9%) change. In 2016, each of the following 6 risks individually accounted for more than 5% of risk-attributable DALYs: tobacco consumption, high body mass index (BMI), poor diet, alcohol and drug use, high fasting plasma glucose, and high blood pressure. 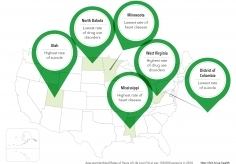 Across all US states, the top risk factors in terms of attributable DALYs were due to 1 of the 3 following causes: tobacco consumption (32 states), high BMI (10 states), or alcohol and drug use (8 states). 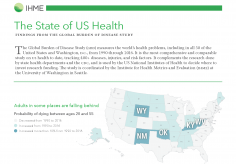 There are wide differences in the burden of disease at the state level. 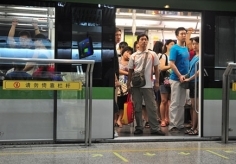 Specific diseases and risk factors, such as drug use disorders, high BMI, poor diet, high fasting plasma glucose level, and alcohol use disorders are increasing and warrant increased attention. 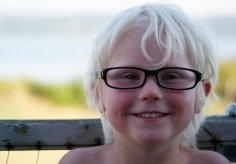 These data can be used to inform national health priorities for research, clinical care, and policy. 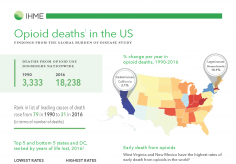 Summary of findings from the Global Burden of Disease Study on opioid deaths in the US at the state-level. 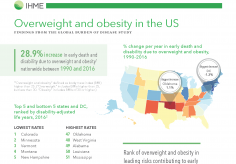 Summary of findings from the Global Burden of Disease Study on overweight and obesity in the US at the state-level. 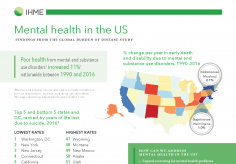 Summary of findings from the Global Burden of Disease Study on mental health in the US at the state-level. 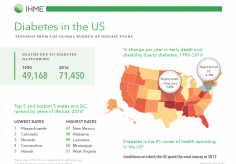 Summary of findings from the Global Burden of Disease Study on diabetes in the US at the state-level. 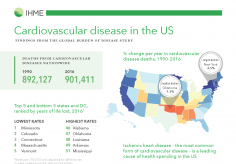 Summary of findings from the Global Burden of Disease Study on cardiovascular disease in the US at the state-level.